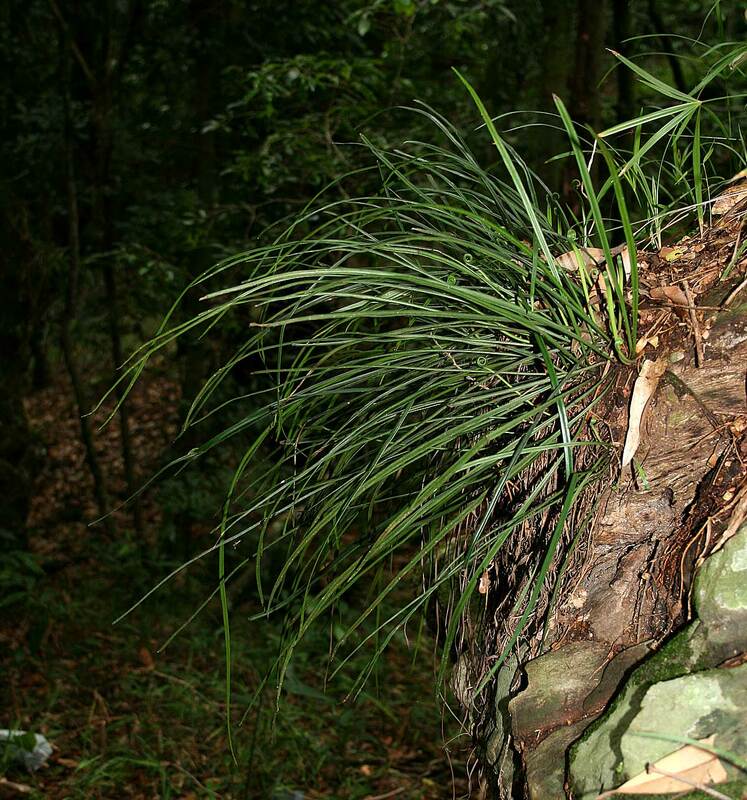 Epiphytes or lithophytes. Rhizomes creeping, bearing clathrate scales. Fronds monomorphic, stipe poorly defined. Lamina simple, narrowly linear to narrowly elliptic, glabrous or sparsely set with short hairs, often pendent. Sori without an indusium, in two marginal, submarginal or intramarginal grooves. Paraphyses present. Derivation of name: vitta: ribbon, referring to the narrowly linear, stringlike fronds. Worldwide: c. 30 species, in tropical and warm regions. We have 12 taxa in the database for Vittaria. Crouch, N.R., Klopper, R.R., Burrows, J.E. & Burrows, S.M. (2011) Ferns of Southern Africa, A comprehensive guide. Struik Nature. Roux, J.P. (2001) Conspectus of Southern African Pteridophyta. Southern African Botanical Diversity Network Report, 13: 1-222. Schelpe, E.A.C.L.E. (1970) Pteridophyta. Flora Zambesiaca, 0: 1-254.